A simple and beautiful dress for toddlers. 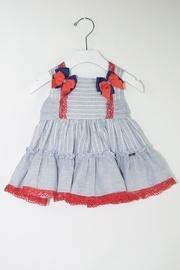 It has details in red lace and two bows on the front in blue and red. It has a zipper on the back for closure.